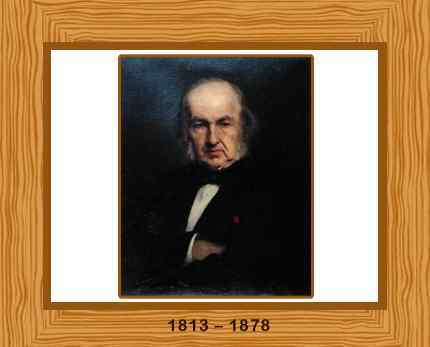 Claude Bernard was an eminent French physiologist, noted for his groundbreaking research regarding the function of the pancreas, the liver and the vasomotor nerves. Widely credited as one of the founders of experimental medicine, he played a vital role in laying down the basic rules of experimentation in the life sciences. Claude Bernard was born in Saint-Julian, a small village near Villefranche-sur-Saône in France in 1813. His father Pierre Bernard was a winegrower and his mother was Jeanne Saulnier. Claude Bernard studied in the Jesuit school and on leaving school he became a pharmacist’s apprentice. Bernard tried his hand at playwriting during his spare time as a pharmacist’s apprentice but by 1834 he had decided to study medicine. He enrolled in the Faculty of Medicine in Paris and passed his internship exam. Bernard then worked in Paris hospitals and became a research assistant. In 1843 he graduated as a doctor but unfortunately Bernard did not pass his teaching exam and so he resigned in 1844. Struggling for money, in 1845 he married Marie Françoise who brought with her a large dowry. During their marriage they had a son and two daughters. In 1847 he was appointed as deputy to Dr. François Magendie at the Collège de France, then succeeding Magendie on his death in 1855 as a full professor. It was during these years that he carried out most of his research. He took a professorship in 1868 in general physiology at the Museum of Natural History of the Jardin des Plantes. While Bernard was working at the laboratory of Francois Magendie at the Collège de France, he wrote his legendary phrase “The constancy of the internal environment is the condition for a free and independent life”. This laid the groundwork for modern homeostasis by presenting the concept of the internal environment of the organism. He was the one of the earliest physiologists to explain the role of the pancreas in digestion, as well as the glycogenic function of the liver. Bernard also extensively worked on the regulation of the blood supply by the vasomotor nerves. Bernard advocated that medical knowledge, similar to other genres of scientific knowledge, has room for systematic experiments. He formulated the principle of scientific determinism, which states that identical experiments should produce identical results. His famous work, “Introduction to the Study of Experimental Medicine” published in 1865 was influential in bringing about the use of animal testing for physiological research. Claude Bernard was appointed as a foreign member of the Royal Swedish Academy of Sciences in 1868. He died in Paris on February 10, 1878 aged 64. Bernard was the first person in France to be given a public funeral.